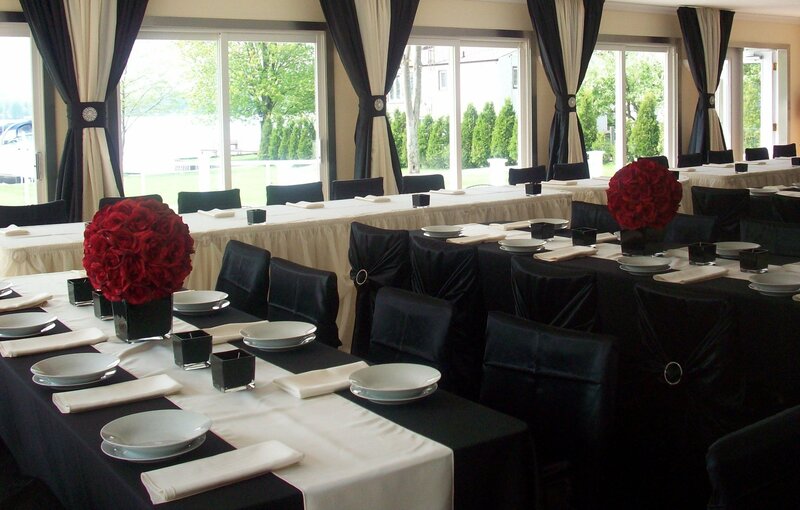 Polysateen drapery, matching table skirts and chair treatments. Hook and slot pipe systems and new industry standard technology, Versatop 2.0. 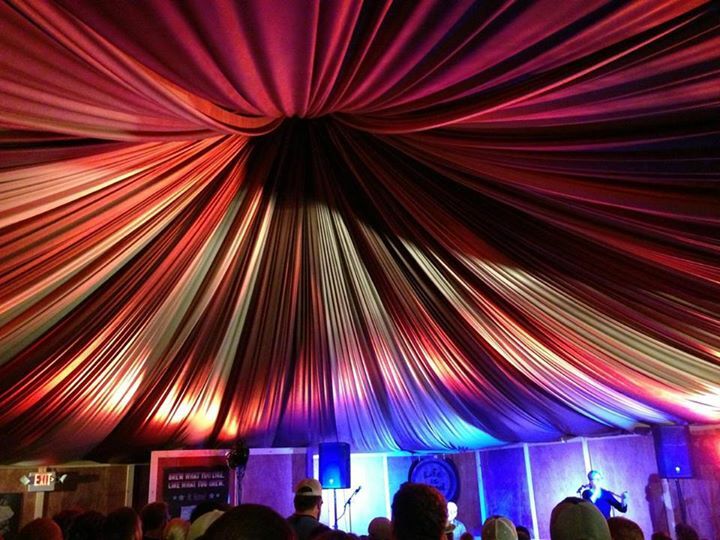 Exciting ceiling treatment using magenta premier fabric. 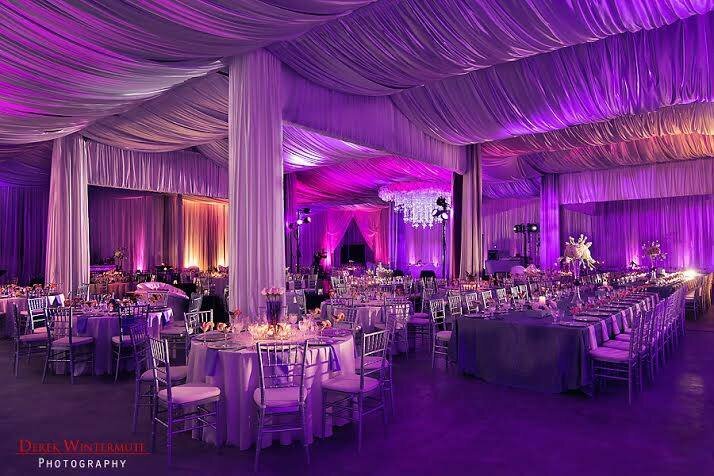 Ceiling treatment, pipe and drape, yards and yards of sateen fabric. Peach PolySateen. 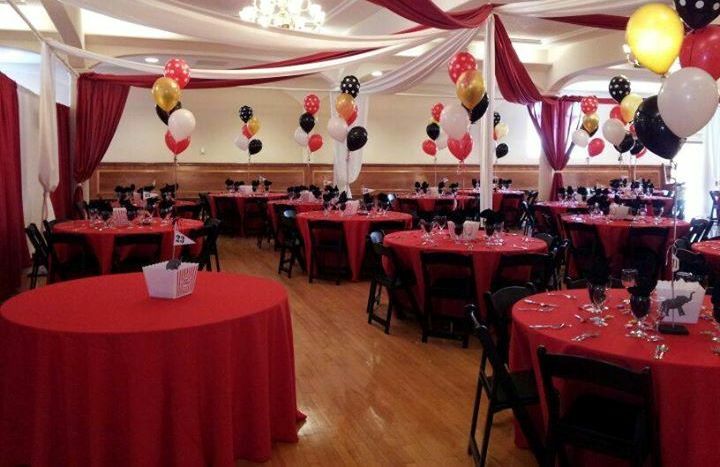 Matching treatments for ceilings, wall backdrops, tables skirts, and chairs. 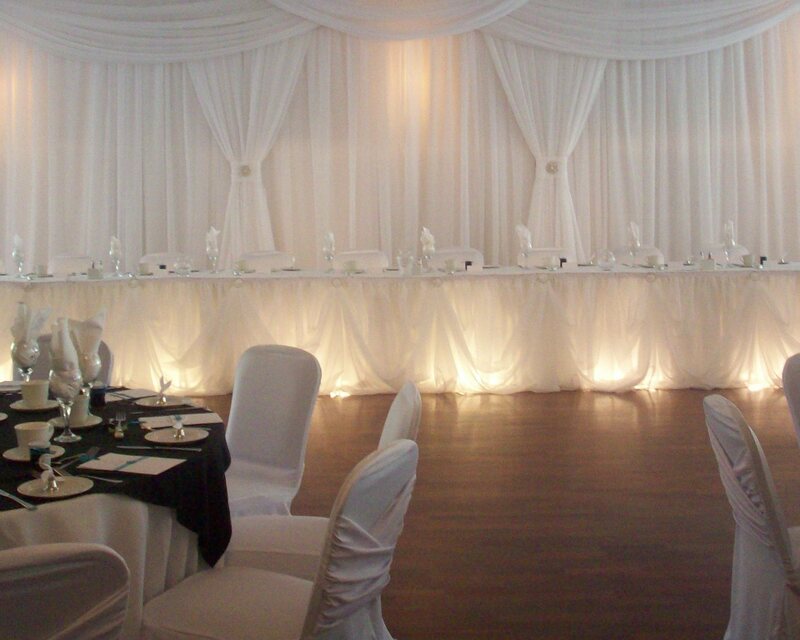 Create this same stunning effect with an all white palatte from any fabric choice. Banjo, poly-knit, poly-sateen, premier and even vinyl. 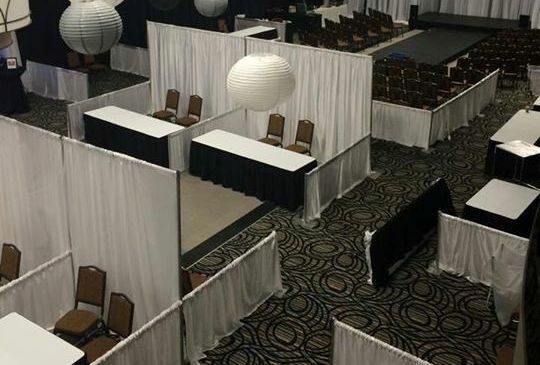 Pipe and drape or a quick backdrop kit, matching drapes, and well placed lighting. Don't forget red rose petals. Banjo, Poly, Sateen, Premier, Vinyl. Make the polysateen shimmer with intertwined strings of lights. 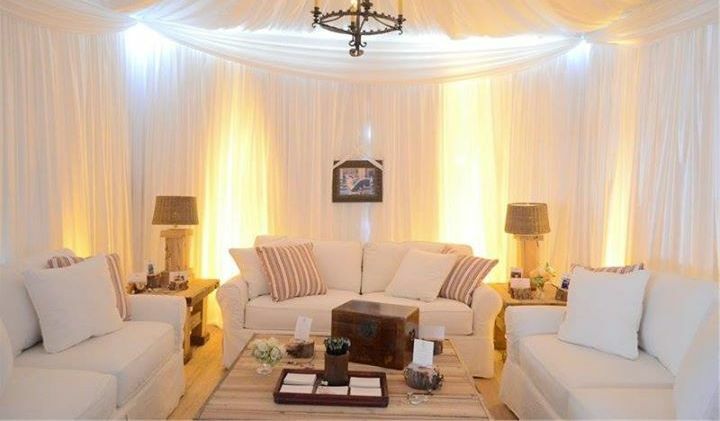 Pipe and drape supporting polysateen drapes creating a very chic private VIP room. 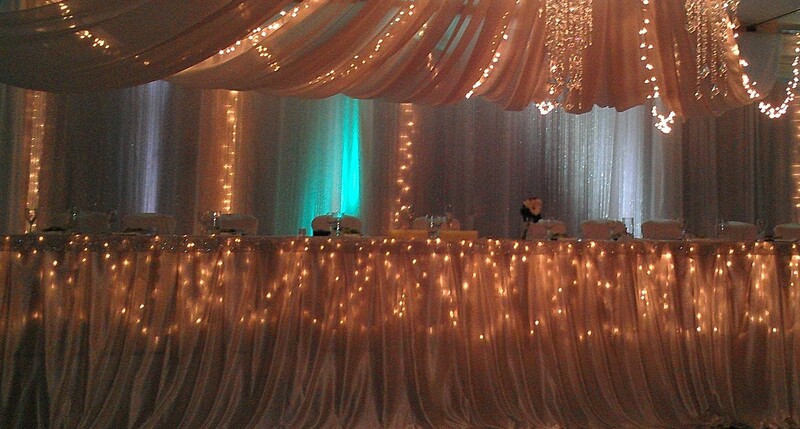 Easy fun with a color coordinated ceiling treatment, backdrop wall and matching table throws. 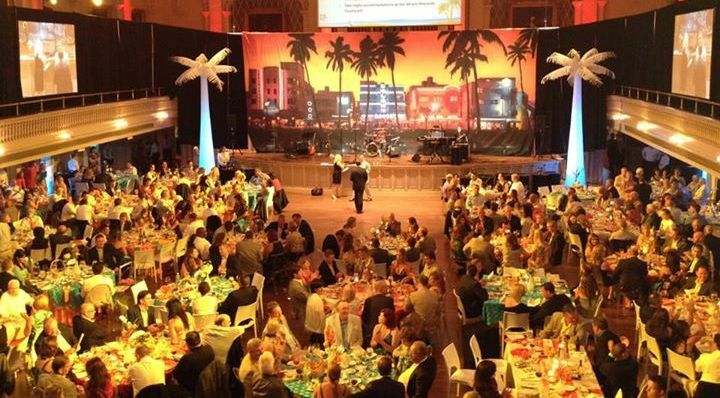 Velour drapes were used to create this amazing event. 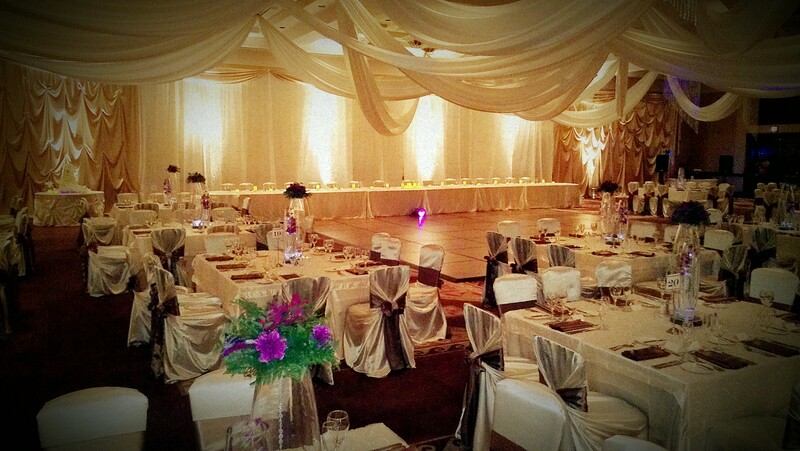 Portable drape walls create sophistication in a normally unsightly space. 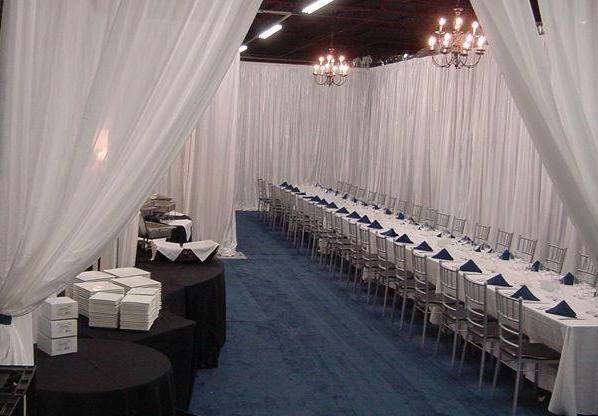 Booths, aisles and seating areas all created with pipe and drape. A truly regal backdrop created using a large backdrop wall and then closer in the foreground, adjustible pipe uprights to vary the height of the draped fabric creating a beautiful swag effect.